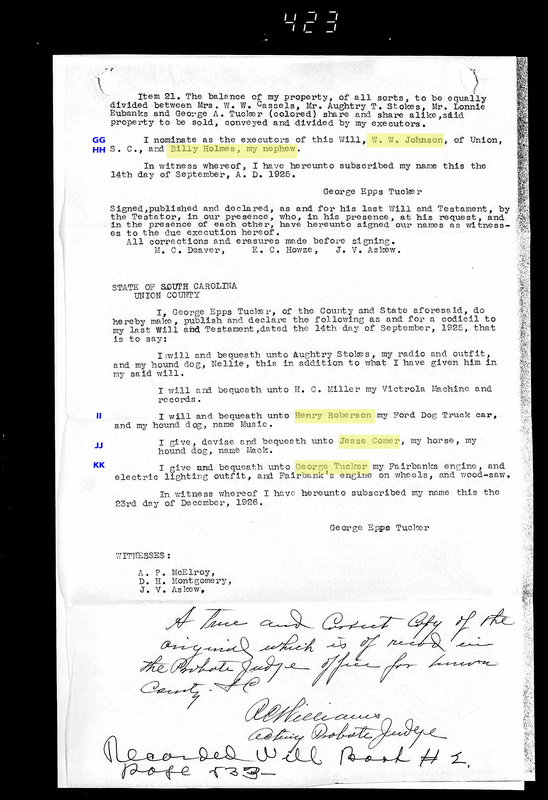 In Avenues of Research from a Will, we highlighted several clues that could help to reveal more about George Epps Tucker (1860-1927), affectionately called Epps, and his son, George Anderson Tucker (1882-1932). 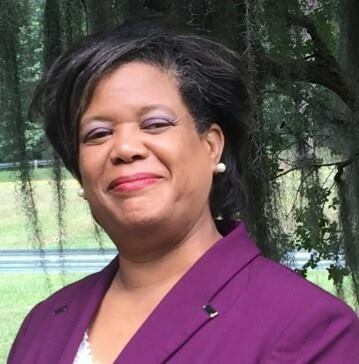 You should search to see if wills exist for the people or families that once enslaved your ancestors or employed them after the institution of slavery ended. Quite often holes in your research can be filled by the information you discover in a will. It is also most effective to extract everything you can from a will then obtain the obvious records that you learn exist from the will. We found several clues to land deeds and people in Epps’ will. Make a list of each historical record that you discover and find access to. Go back to glean information that you may have missed in the will or that you may understand better after additional documents shed more light. We will finish extracting Epps’ will from the last post, and we will share why the information may be useful. We have included images to the will below. T-U. Even though Epps never acknowledges George Anderson Tucker to be his son, he leaves him three houses in Columbia, SC. Columbia had more to offer the descendants of formerly enslaved parents at the time by way of education at Allen University or Benedict College. The ancestors of Epps enslaved George’s ancestors. 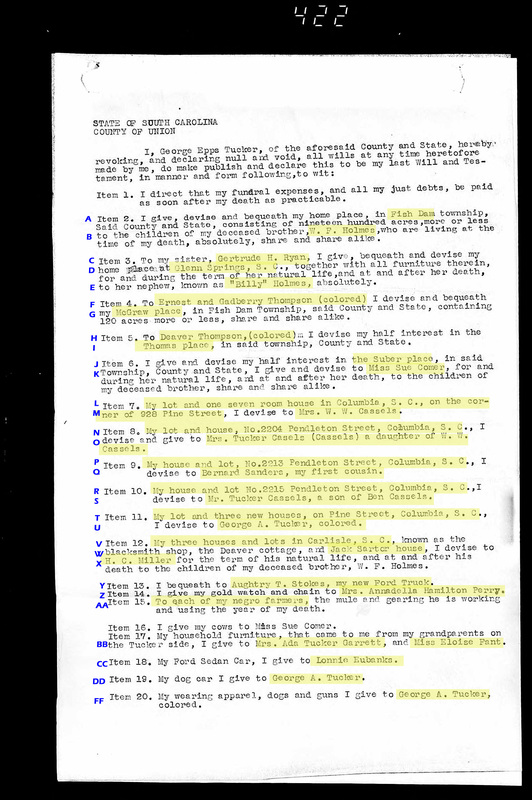 In his final days with no other known descendants who were not African American, Epps’ must have been prompted to leave something to George who had 12 children. Epps left this property to George just before George’s daughter, Otis Edna Tucker, eloped and settled with her new husband, Emory Wallace Vance in Columbia, South Carolina in 1930. It will be interesting to research further to see if any of the property that Epps left in Columbia gave this couple a start. V-X. We cannot stress enough how important it is to research extended family members. This may enable to you recognize the names of individuals in a will that you may not know. Search out every record that you can possibly find on each person in a family. Epps gives lots and houses that he owned in Carlisle to H. C. Miller. One of the houses was previously owned by Jack Sartor. Sartor is both a surname of formerly enslaved people and former slaveholders. When Calvin Vance decided to chose a wife prior to 1900, he said that he would travel from his home in Hodges, Greenwood County, South Carolina to Carlisle because that was where he believed the prettiest women were. No doubt, he learned this from his brother, Lafayette Franklin Vance (father of Emory Wallace Vance), who lived in Carlisle (Fish Dam Township) at the time. Perhaps he met his bride to be, Chlorena Sartor, through Lafayette. At any rate, there is some mystery as to who Chlorena’s parents were. Perhaps researching Jack Sartor will reveal more. Aughtry T. Stokes receives a Ford truck from Epps. We do not know what relationship he is to Epps, so we need to research him further as you should do for anyone you do not recognize in a will. Annadella Hamilton Perry (same as above). AA-CC. Mrs. Tucker Garrett, Eloise Fant, Lonnie Eubanks. 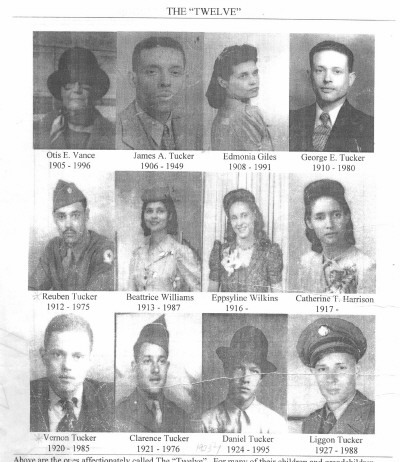 We recognize the surnames, Fant and Eubanks, from pouring over census records (same as Y). DD-FF, KK. George Anderson Tucker received additional property which stresses the significance of his relationship with Epps. II-JJ. Henry Roberson and Jessie Comer (same as Y). We do know that Jessie Comer is a cousin to Epps. Have you ever discovered the will of a former slave owner or the will of an ancestor? Share with us the details that you learned on the Facebook post for this article.